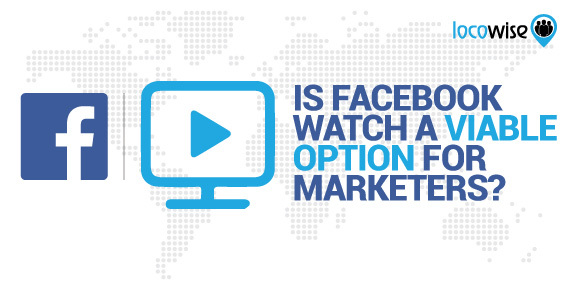 Is Facebook Watch a Viable Option for Marketers? Facebook continues to innovate with its lineup of apps and user options, and February was no different. It may have escaped your attention, but Facebook has been busy building its own TV channel. But to understand how it actually works, it’s probably best not to see it as a TV channel. As part of its grand plan to take over the world and run our lives for us, Facebook created Watch. Last year in August, every single Facebook user in the world was able to use it. It’s essentially a platform where video creators can tap into the huge audience on Facebook. There were legitimate concerns that it simply wasn’t taking off. However, Facebook has been working hard on making it a popular platform, and this has meant the usage of Facebook Watch has grown. And having content like Jada Pinkett Smith’s Red Table Talk he obviously worked. While 50 million people may be a small number compared to YouTube’s figures, it certainly shows that the Watch audience is big enough to make a difference. The sharing aspect is also impressive. People are now watching YouTube as if it were TV, and channels and creators have garnered millions of fans. If Facebook could grab a portion of that kind of user base, Watch will become a real option. Well, that’s what Facebook has focused on over the last few days. 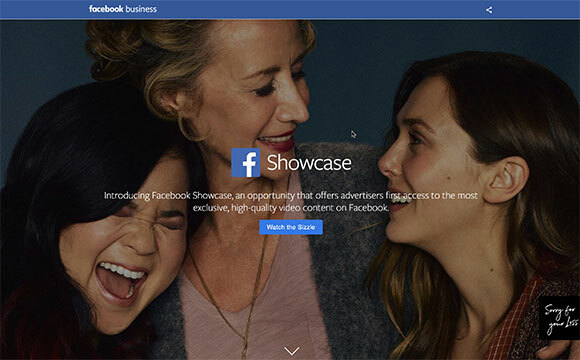 It’s now given marketers more to work with on Facebook Watch, which means it’s following the traditional Facebook model of monetizing apps and offers as the audience grows. But it’s actually quite a positive option here for brands, in the form of Showcase. One of the options is ‘In-Stream Reserve’. This allows advertisers to get their message to viewers of the ‘hundreds most engaging’ content creators. Facebook promises that, on average, 100 million people watch content that is eligible for In-Stream Reserve. That’s a lot of eyeballs. There are other options too, which allow for more targeted audience spots. These spots are ‘contextually relevant’. All in all, there are more than a few options here for brands to use Watch to their advantage. Facebook is taking the content seriously too. While it may cost a fortune, the chance to have ads featured within the segments of the new version of ‘The Real World’, a pioneering MTV show from years ago, or the latest Zac Efron show is very attractive. We hinted at the move towards YouTube being ‘the new TV’ earlier in this article. And if you think about it, it’s pretty obvious that kids and teens are now watching YouTube rather than traditional TV. It’s just become the way that people are starting to get their entertainment. Facebook reckons that nearly half of its In-Stream Reserve audience is in the 18-34 age bracket. That’s the bracket that is leaving TV behind. In other words, Facebook is very focused on creating the ‘new TV’. While it may be a long way from that, having a young, informed audience on Watch cannot be a bad thing. If you would like some of the best social media marketing metrics available, try Locowise, free for a whole week. We think you’ll be impressed.